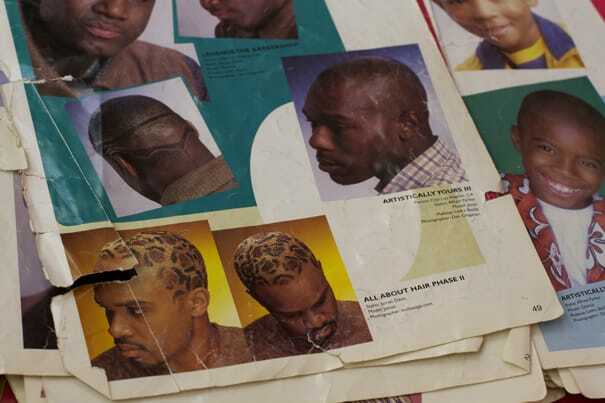 What: Hideous old school reference books barbers use to help indecisive people pick hairstyles. I would bet that my barber is the best in my city hands down. A trip to my barbershop can be extremely funny at times, he often gets these real indecisive people who always want a haircut they saw on someone else but they can never describe it. When the situation gets sticky he pulls out this hilarious hairstyle guide that barbers all across the country have been using for decades to help the lost. Even though this hairstyle guide is supposed to help you find the right looks I think it is ridiculous and needs to be retired or least updated with some modern looks. I doubt people are still looking for Gheri curls, blowouts, or awkward high tops.